Rest Day 4/11/13: Blade Work – When is the blade Feathered/Squared? – Share your thoughts and preferences! When is the blade Feathered/Squared? At the CrossFit Rowing Course June 8-9 we will be learning how the blade and the oar move with the body during the stroke. If you’re interested in dialing in your technique and pushing your rowing to the next level come to CrossFit Boston and Community Rowing. On Saturday we will be crushing it with CrossFit Rowing Coach Shane Farmer on the Concept2 Ergometer. 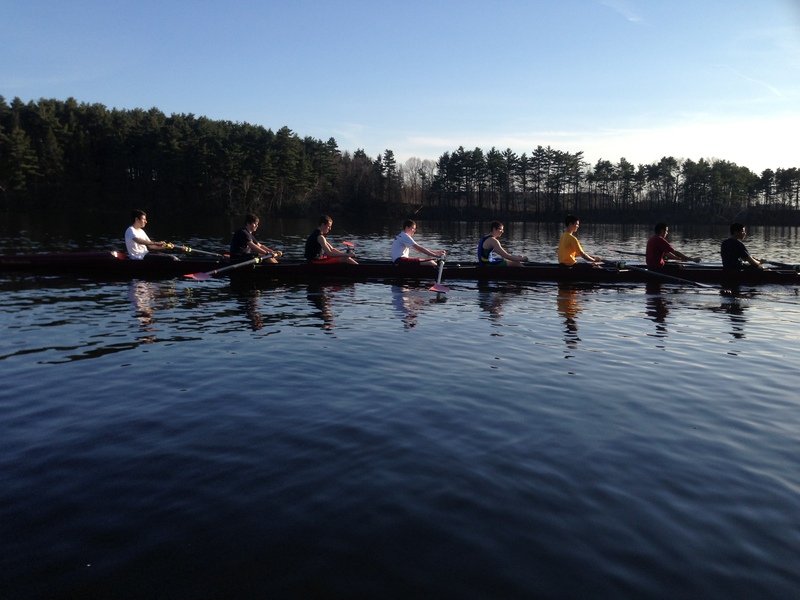 On Sunday we will be putting our new and improved skills to work rowing in shells on the Charles River. Sign up here and come enjoy the summer in Boston! Share your thoughts on when the blade should be feathered and squared to comments! This entry was posted in Our Mission, Rowing and tagged crossfit, endurance sports, functional movements, healthy-living, inspiration, nature, new sport, outdoors, rowing, water by Renegade Rowing. Bookmark the permalink. Wanna know the definition of happiness? It’s when u get a new ff on ur crew who not only crossfits, but brings all of his equipment to the station including his C2! Holla. That’s great! Hope he’s up for crushing some Rowing WODs with you!